From placing bricks in the toilet cistern, to cling film over the windows, there are many ways to save pennies on your energy bill. In manufacturing, saving energy can be a whole lot simpler and making small but significant changes can drastically reduce energy consumption. Manufacturers are introducing more automated systems to the factory floor to streamline the production line and efficiently deliver products to customers. However, as the factory increases its automated processes, it requires more energy to complete production. With energy efficiency standards becoming stricter, manufacturers aim to reduce carbon emissions across the factory. The introduction of standards, such as ISO 50001, encourages manufacturers to improve energy performance and identify areas where they can reduce energy consumption. Manufacturers can then monitor each asset on the assembly line to determine where they can best save energy. Most industrial machines operate using motors, and around 65% of energy consumption in industry is attributed to these parts. 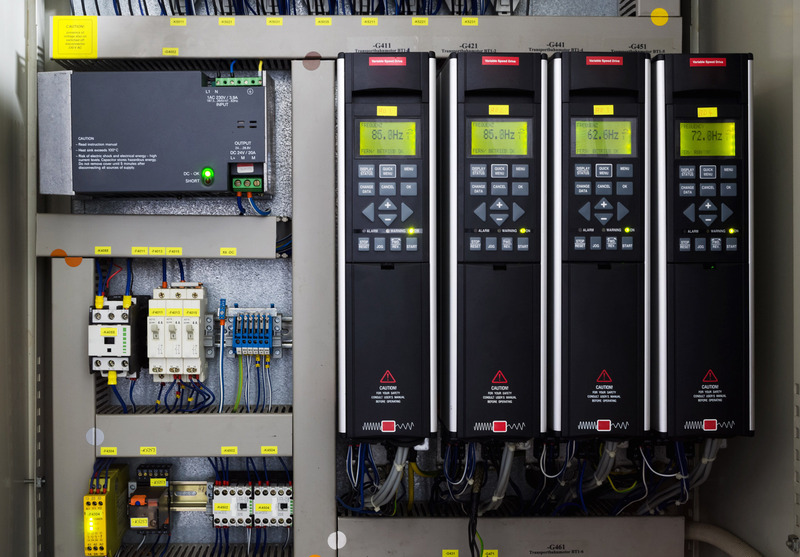 Installing a variable speed drive (VSD) is the best way to reduce motor speed to align with production. This equipment regulates speed and force of an electric motor to adjust the speed based on that of the assembly line. Using this technology prevents unnecessary energy consumption when the machine is working at a slower production rate. It is a common misconception that only new equipment will be energy efficient. However, manufacturers that use older equipment also have the opportunity to reduce energy consumption. While obsolete parts are no longer produced by the original equipment manufacturer (OEM), it does not mean that they are not energy efficient. Some industries, such as the pharmaceutical sector, rely on obsolete parts to keep systems running but also want to ensure that their processes are cost and energy efficient. Technology is advancing quickly, meaning that parts can easily become obsolete. Many of these parts meet current energy efficiency standards, despite no longer being produced, meaning that manufacturers can use them, rather than replacing an entire system. Relying on parts suppliers can ease the process of sourcing obsolete equipment, as it can be difficult to find the correct component. Using obsolete parts allows manufacturers to optimise their current system, rather than replacing it. Sourcing obsolete also promotes a circular economy as parts are given a longer lifecycle, rather than being disposed of in a landfill. Introducing new software can also improve the energy efficiency of a robot. Manufacturers can monitor and manipulate any asset by creating a digital twin using real-time analytical data. The manufacturer can then determine if the machine is using excessive energy and try to solve the issue using the digital twin before adapting the physical machine, efficiently reducing energy consumption. Jonathan Wilkins is marketing director at obsolete industrial parts supplier, EU Automation.